In the past, churches would take up offerings on a Sunday morning by passing around collection plates. Members would toss in their cash or check contributions. Nowadays, churches have to take it up a notch. This does not mean that the traditional ways should be abandoned. 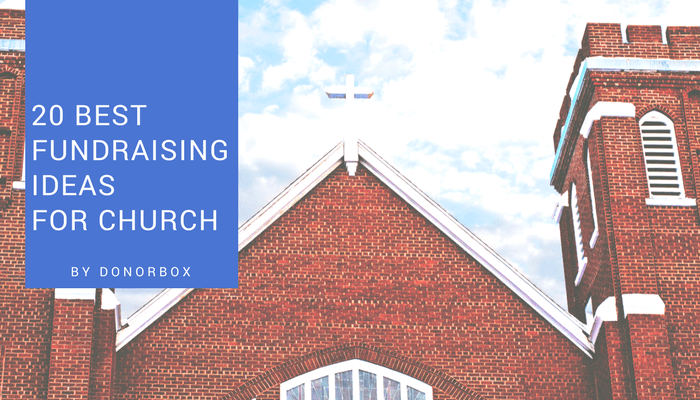 In fact, some congregation members might still prefer them, but there are multiple church fundraising ideas out there that you can use to reach your church goals and engage your members. Sometimes the offering just isn’t enough. When your church needs to increase giving, what do you do? What types of fundraisers should your church conduct, and how can you get your congregation on board? Is it even possible to make fundraising fun and meaningful? Today we are gonna take a look at 20 fun church fundraisers. 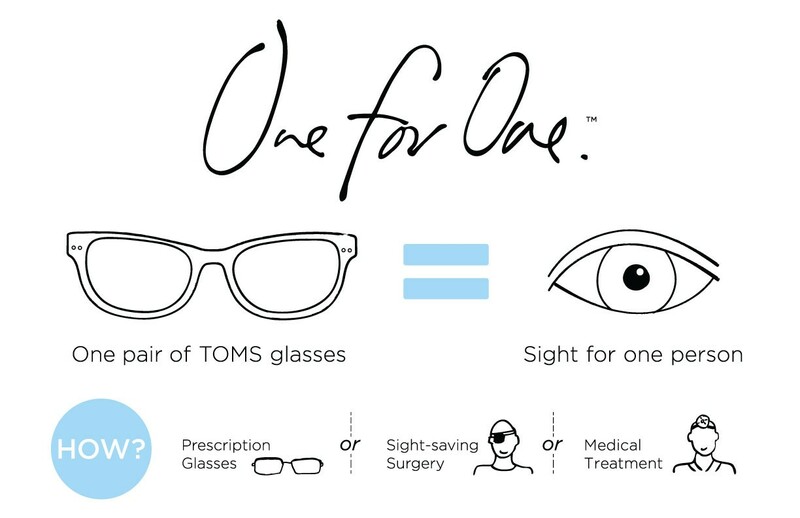 The famous “Buy One, Give One” concept, popularized by TOMS, is a straightforward and inspirational way to fundraise. For example, if your church is helping the homeless, you can organize a community lunch sale offering “buy a lunch, give a lunch”, pricing the food slightly higher than average to support your cause. 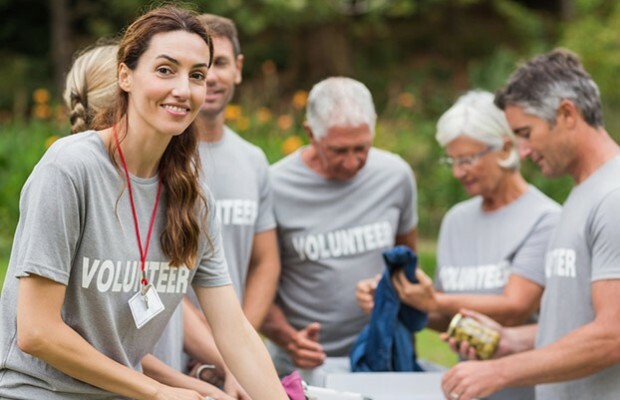 Nonprofits and churches from around the world have used this effective fundraising technique for years. The idea is simple. Ask congregation members or members of the local community to give up: coffee, going out to eat, going out for drinks, an afternoon candy bar, weekend movie nights, or any other (by all means) modern luxury, and donate instead. If you want to make it easier on your congregation, choose a shorter month, like February. Your congregants can also choose to opt in for half of the month. 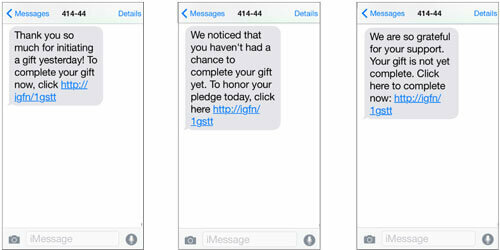 Quick, but an untapped tool for church fundraising, text-to-give is easy to set up. Mobile fundraising is a simple way to receive donations as a faith-based organization. Start by choosing a software provider and getting a unique phone number. The rest is up to effective campaigning. Donors will have to text your unique phone number, usually with an amount they wish to donate (e.g. “30” for $30), and then follow a link to donate. This method is especially important since less and less congregants carry cash around, and more and more bring their phone everywhere. Atpay.com has a detailed guide on text-to-give method. Offering plates have been used by churches and other faith-based organizations as a primary way to receive donations ever since the early 19th century. In addition to this traditional method, give your congregation an option to donate online. Make sure your church has a modern, well-designed online giving page. Members should ideally see their giving history, and be able to edit their giving schedules. 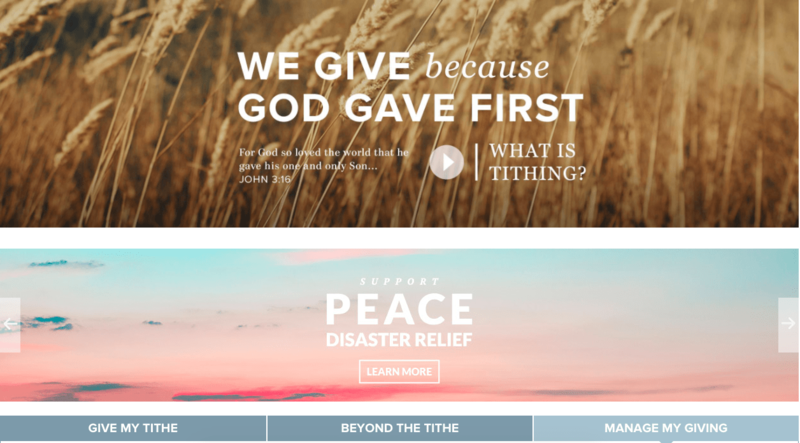 The Saddleback Church even has a “Beyond Tithe” page where members can donate to causes they are passionate about. Crowdfunding is a term that refers to any effort to raise money with donations from a large number of people, and it was initially used as a way to attract small-scale investments to for-profit organizations. However, crowdfunding has quickly become the bread-and-butter of many nonprofits and faith-based organizations. 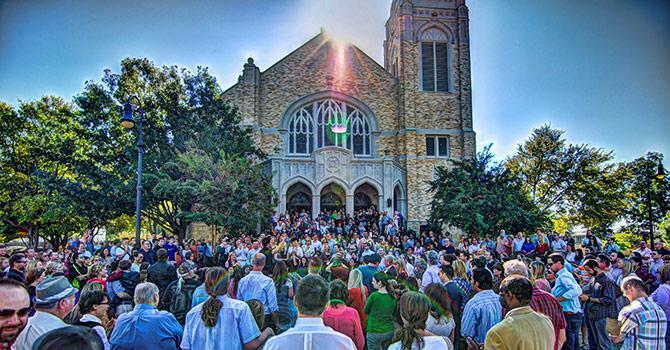 The ability to reach large audiences beyond their own congregations or audiences is an almost unique advantage of crowdfunding compared to other church fundraising ideas. Crowdfunding is usually simple to start. Social media, social media, social media : Promote your campaign on social media diligently, and encourage your congregation to do the same. Secure a start: Many churches and nonprofits find it difficult to get off zero. It also becomes difficult to attract larger donations, especially when the goal is $20,000 and the amount raised $5. To make sure this does not happen, secure some donations from the congregation, friends, and families, even before launching the online campaign. Videos: Use videos to show previous work you have done on a similar cause. Visuals are stimulating and powerful, and allow the world to see who you are and what you do. People support causes, but more than anything – they support people. Show your faces and the good work that you do! Updates: Keep the crowdfunding page regularly updated. Keep it alive by communicating frequently and keeping everyone posted on the progress. If possible and relevant, post updates in more languages than one. It is also essential to be transparent. People want to know where their money goes. As your fundraising campaign progresses you should develop two separate email lists, one for those who have not donated yet, and one for those that have donated, and send them different types of updates throughout the campaign. Mind the donor : Molly donated $10. She’s not a 4-figure donor, but Molly is important. She chose to donate $10 to your church, amongst all other things she could have done with that money. Think about her “donor journey”. How will you say “thank you”? Which emails will she receive and when? This is in no way an exhaustive list of elements for successful crowdfunding, but it covers some of the basics. Good luck! 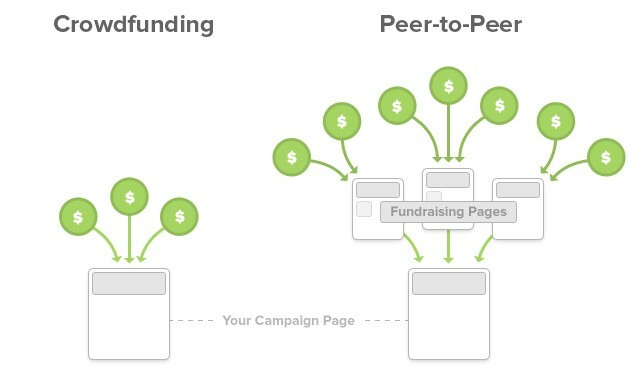 Whilst crowdfunding generally uses one landing page to collect general donations or cause-specific donations for the church, the main purpose of a peer-to-peer page is to call supporters/congregation members to fundraise on behalf of your organization. So, rather than counting on mass appeal, you need to empower your members and supporters to reach out to their networks. A major advantage of peer-to-peer fundraising is the ability for congregation members and supporters to individualize the cause by explaining why it matters to them. 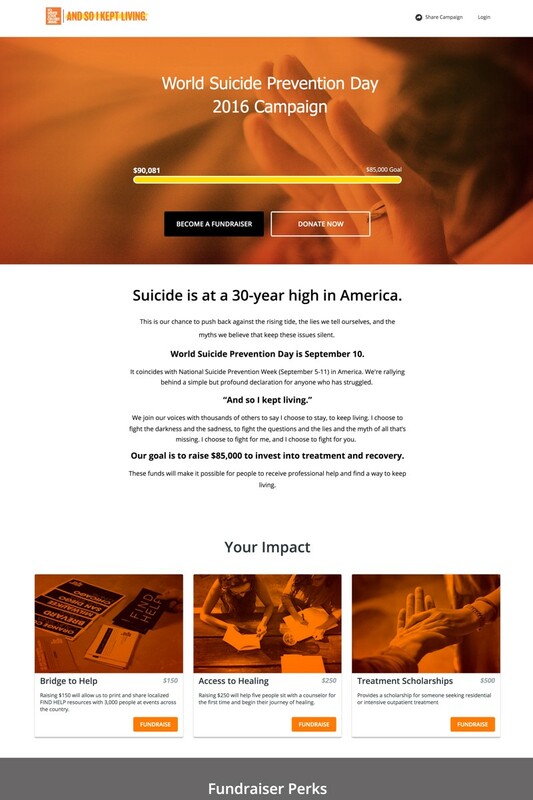 This personalization appeals to emotions and increases donations. People are more likely to donate to an organization their friend or family member recommended. However, this means you rely on your fundraisers! Make sure you enable them to do the fundraising by providing the right tools and support. #GivingTuesday, a global day for giving, powered by collaboration and social media, falls on November 28th this year. In 2016, $177 million were raised for #givingtuesday, which was a 44% increase compared to the previous year. ​Set a specific goal for your church: #GivingTuesday is a great time to rally your church and community to meet a pressing need. The best way to do this is to set a specific goal, like “Help us fill 200 shoeboxes the local orphanage” or “100 grocery bags with non-perishables for our neighborhood homeless shelter”. Plan the campaign: Assign roles, plan social media posts, plan events, pick channels, design a calendar. 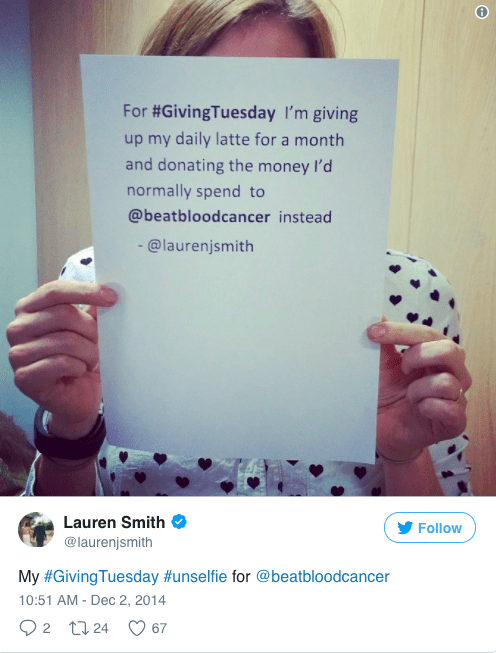 Start at least two weeks before #GivingTuesday. Incentivise giving: Think of a competition to incentivize donations (rewards can be small and donated by your sponsors). Creating challenges for when you hit fundraising milestones is another fun way to incentivise giving. Unselfies: This is a great idea, especially if you have a young adult group or youth group in your church. Tap into the digital natives by mobilizing them to share #unselfies. An #unselfie is simply a self-portrait where the subject writes about the cause they support with the hashtag #unselfie on a piece of paper then posts a picture of it on social. Holidays are a great time to reach out to your local community and fundraise. People are in the spirit of giving, and they also somewhat expect to be solicited. ​Easter Egg Hunt: Children of all ages hunt for goodie-filled eggs. All you need is a large space with a few hiding spots, volunteers to set it up, eggs and treats (the numbers depend on the size of your event). Invite your congregation and the wider community, charge a fee per participant and set them off! Pumpkin Patch: Start by finding a pumpkin supplier (try to stay local), and then find a location (your churchyard or a local schoolyard are usually good options). 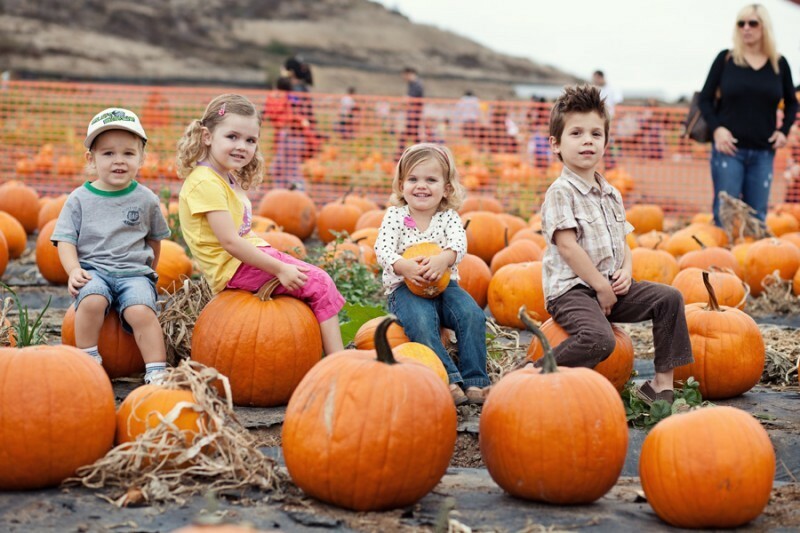 Promote your pumpkin patch and recruit volunteers. For additional fundraising set up: face painting stations, produce stands, pumpkin carving stations. Pictures with Santa: All you need is a volunteer Santa and photographer. Announce the event via social media, put up fliers, and tell your congregants about it. Charge the parents a few dollars for their children to interact with Santa. Added fundraising ideas: charge for having the photos printed, charge for hot chocolate and holiday snacks. An auction is a fun and energizing, face-to-face church fundraising idea. 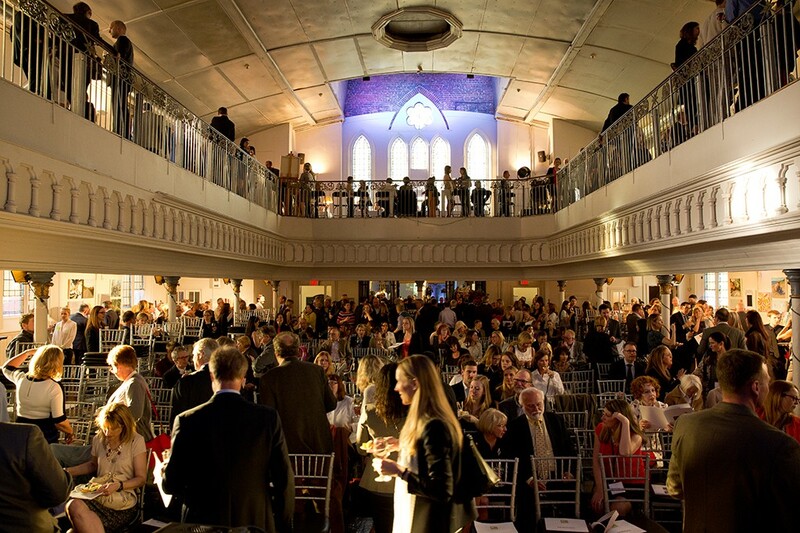 Besides allowing you to interact with your congregants in an interesting way, it is also a great opportunity to network with local businesses by gathering charity auction items. Get the local businesses to donate a variety of items. Hire an auctioneer, promote the event, and cater some food and drinks. Make sure everyone is aware of the rules beforehand. You can also make the auction silent. Auctions require a couple of months of preparation, but they are worth the time if organized well. To add an interesting spin to auctions, you can auction experiences and not just physical items. If you’d rather avoid raising items from local businesses, you can host art auctions . Get congregants and members of your local community to draw, paint, sculpt and agree to donate their work for the purposes of fundraising for your church. There’s bound to be a couple of congregants and members who are talented artists. Everyone has stuff they don’t need lying around their house. Your church can use congregants’ unwanted goods to raise money and give the unwanted stuff a new home (yay for sustainability)! These work similarly to yard sales. Books for Bucks: Get your congregants to donate used books, magazines, and comic books that they do not intend to re-read and you can sell them to the community. Shoe Drive: Get your congregants to drop off their gently worn shoes and find a company that will pay for the shoes you collect. Clothes Drive: Give your congregants the chance to swap clothes with each other and appreciate old clothes anew. Ask your congregants to round up clothes they no longer wear with prices in mind. Set up the clothes in the designated area and invite everyone in your church to be a part of the sale. Make sure you have a way to collect the funds and provide receipts for your donors. Alternative idea: You can combine these three into a big ‘jumble’ drive/sale where books, shoes, and clothes are sold. 11. Pay to play Sports Day: Host sports events, such as a day of tournament play or pay-to-play sports challenges. You can also host a 5k for the runners/walkers in the church. Set up a fee for each runner. 12. Coffee Morning: Assemble a coffee stand in front of the church or on the street on Sunday morning and sell coffee to congregants. Get a local coffee shop to donate supplies (e.g. cups, spoons, muffins). You can also do this with hot chocolate in winter and lemonade in summer! 13. Host a Show: Talent Show, Bingo or Trivia Night are fun and child-friendly church fundraising ideas. Sell admission tickets for a small fee, but also set up a general donation table. Use this chance to educate the congregation about church activities, and don’t forget to keep reminding the guests what you’re fundraising for. 14. Host a Food Event: Food always brings people together. Host a popular chilli cook off or organize a World Food Day, especially if your community includes members from various world cultures. 15. Threads of Hope is 100% risk-free tool with no upfront cost. Contact Threads of Hope and let them know how much money you’re trying to raise. They’ll ship you their product (bracelets, anklets, necklaces, etc) at no cost to your Church. You send 50% of the sales along with the leftover product back to Threads of Hope. Keep the other 50% of the sales and put it towards your fundraising goal! 16. Dog Day Saturday: Choose a Saturday and provide doggie care for half the day. Get a pet store to donate supplies and congregation members to sign up their dogs so you know how many dogs you’re dealing with. This can be particularly fun to organize with your church youth group. 17. Parents Night Out: Choose a night where you will keep the children department at your church open for the night. Offer to babysit children while their parents are out (e.g. Valentine’s or just before Christmas for parents to do their Christmas shopping). Charge per hour or a flat rate. 18. A Red Letter Day: Sometimes the simplest ideas are the most effective. If your need is urgent (e.g. a leaky roof), simply send out personalized, heartfelt letters to members of your community asking them to donate for the repair. 19. Bake Sale or Bake Off: For a bake sale, you just need volunteers to bake the goods and some more volunteers to sell the cookies and cupcakes. For a bake off, design a competition (e.g. quiche bake off) and have participants submit their entries. You can assemble a jury or pick a winner by popular vote. 20. Movie Night: A real crowd pleaser, for this church fundraising idea you need a family-friendly movie, a projector and a screen, and some comfy seats. Sell tickets, and offer childcare services for free (that often results in high tips). Sell popcorn and snacks (buy in bulk to make a profit). Church Fundraising can sometimes seem like a daunting and boring task. However, if you approach fundraising for your church with a different mindset, one of fun and stewardship, you can begin to see fundraising in a whole new light. With transparency, good intentions, a couple of fun ideas, and the right plan and people in place, fundraising can not only boost your church finances, but also become a way to bring your congregation closer together, showcase your work to the wider community, and positively impact more beneficiaries.